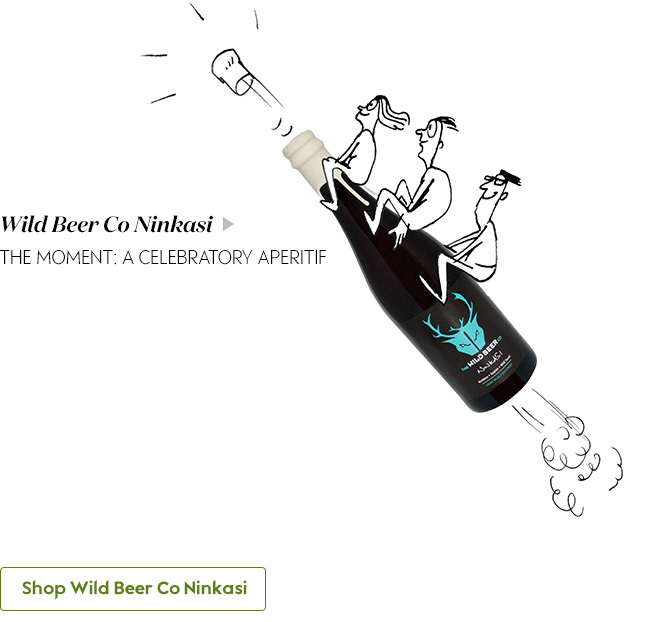 Great tasting beers expertly paired with some of your favourite food occasions. Instead of having its own bricks-and-mortar brewery, And Union produces its unfiltered beers in collaboration with four family owned Bavarian breweries – the oldest of which has been crafting beer for an impressive 500 years. Taking a full eight weeks to brew, Steph Weiss is a traditional, unfiltered wheat beer bursting with flavours of vanilla, allspice, clove and tropical fruit. This is a big, bright and dynamic-tasting beer that can really hold its own with assertive Mexican ingredients like chilli, coriander and lime-juice marinated ceviche. As one of the most refreshing beer styles around, wheat beer is also a natural bedfellow with hearty pulled-pork enchiladas. Show-stopping ingredients like mozzarella, vine tomatoes and lightly charred sourdough. When it comes to finding a beer that is equally as balanced and nuanced, it is hard to beat a classic Pilsner. A golden, effervescent-style of lager from the Czech town of Pilsen, it has earthy, complex aromas of caramel, bread and honeysuckle. Considered the mother of all pilsner-style beers, Pilsner Urquell is refreshing, intensely moreish and super-versatile. This makes it a great choice for traditional pizza toppings, from delicate roast vegetables through to punchy nduja sausage. 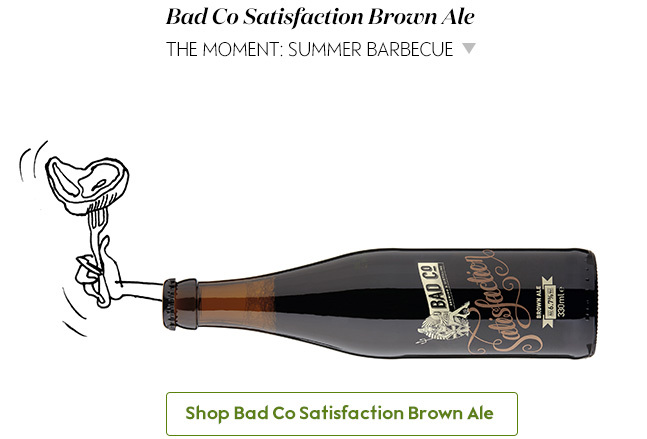 Almost the exact opposite of a brassy, bitter and well-hopped pale ale, this delicious – rather heady – brown beer is a sophisticated symphony of nuts, caramel, raisins and toffee. These sweet roasted flavours make it an excellent partner for barbecued meats, such as rare steaks, juicy lamb chops and smoked pork ribs. Meat not your thing? 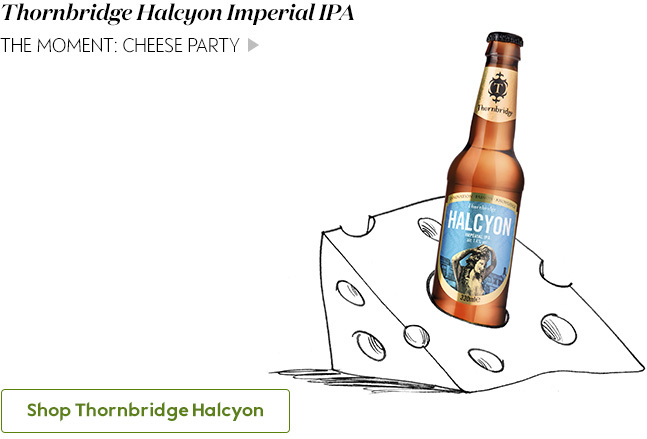 The nutty sweetness of this style of beer also makes it a hit with vegetables and cheese. Serve with a barbecued round of Vacherin Mont d’Or with roasted root veg and wild rice – your guests will not be disappointed! Hops are celebrated by craft beer aficionados for imparting a dizzying array of flavours redolent of spice, fruit, flowers and herbs. But another – less appreciated – virtue of magnificent hops is their ability to provide beer with a refreshing citrussy bite. It is this latter characteristic that makes golden, generously hopped pale ales adept at ‘cutting-through’ salt and batter. Not convinced? 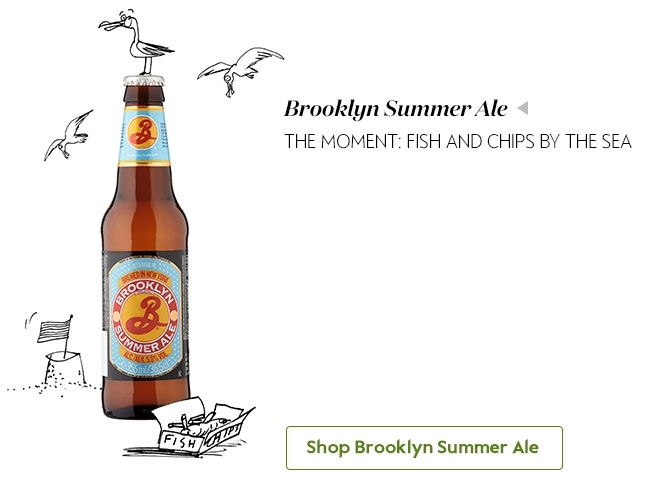 Then do yourself a favour and try teaming a portion of fish and chips with Brooklyn Summer Ale. The combination will leave your palate clean, refreshed and invigorated, in much the same way as a slice of lemon or a dash of vinegar. Few American breweries evoke more respect from hopheads than Sierra Nevada, which helped kick-start the US craft beer revolution back in 1979. This balanced, bright and distinctly floral American pale – the brewery’s flagship beer – is made using only fresh, whole cone hops before being bottle conditioned with live yeast. The process results in a beer famed for its easy-drinking nature and refreshing pine-like flavour. 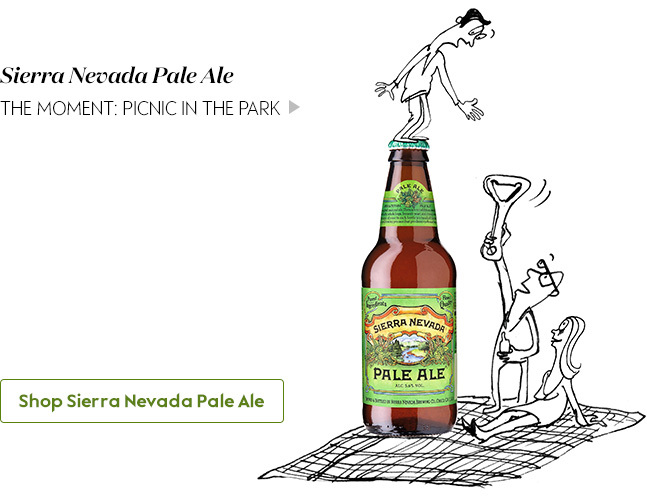 This is a brew designed for kicking back in the sun with friends and a selection of gourmet picnic snacks. Think runny Scotch eggs, Spanish tortilla, cucumber pickles, potted crab and spicy charcuterie. A truly modern drink with a traditional twist, this unique beer is inspired by the pale ales that historically travelled from England to India, as well as the precious tea that returned on those same ships. 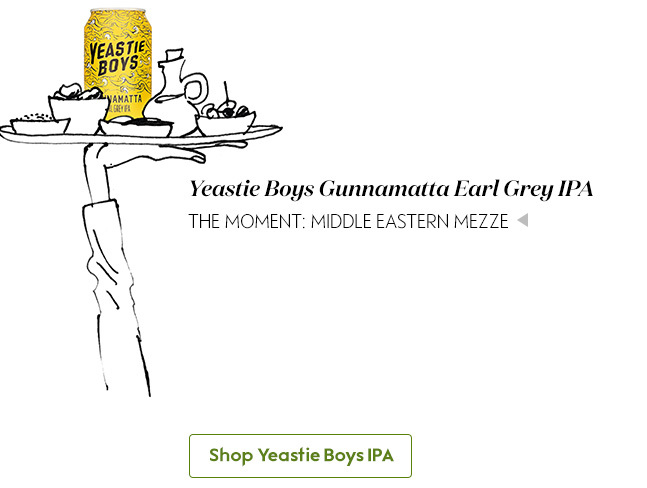 Yeastie Boys’ Gunnamatta uses good amounts of Earl Grey Blue Flower tea to give aromas of peach, mandarin, spice and lemon peel, with the quenching dry finish of an iced tea. This makes it a beer at home with pungent Middle Eastern dishes, particularly those that fall under the umbrella of foods we refer to as mezze, including baba ganoush, houmous, falafel, olives and chilli-marinated chargrilled meats. Rich, dark and intensely viscous, stout is often thought of as a beer best left for the chilly winter months – especially those examples that aren’t afraid to breach the 10% APV mark. 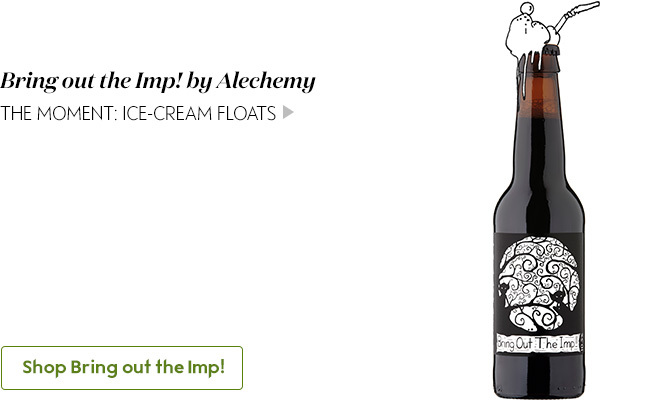 However, with its indulgent flavours of chocolate, coffee, liquorice and vanilla, this special beer created by Edinburgh brewer Alechemy is a hit with desserts at any time of the year. and in place of the once ubiquitous kebab van you’ll find street-food stalls manned by some talented chefs. As food increasingly takes centre stage, festival goers are also stepping up their beer game, swapping flavourless, mass produced lagers for something altogether more interesting. 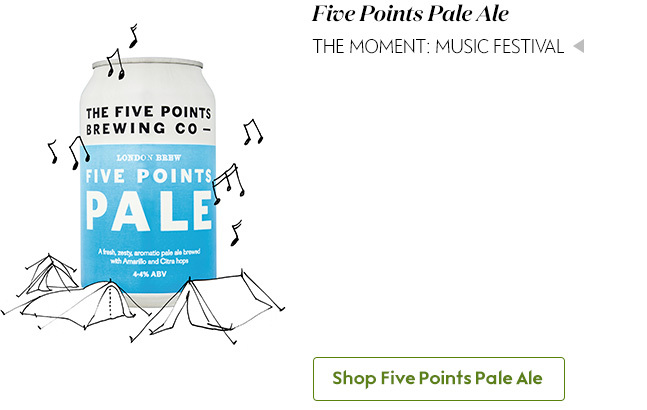 It’s hard to imagine a better beer for a warm summer’s day in front of a stage than Five Points Pale, an award-winning golden ale that comes packaged in handsome, festival friendly cans. Super-charged with zesty Citra and Amarillo hops, this beer is juicy, fruity and refreshing, making it a killer pairing with that festival favourite: the gourmet burger and fries. New Zealand hops and freshly harvested Somerset apple juice. If that wasn’t enough, the beer undergoes a secondary fermentation with bone-dry Champagne yeast. Fruity, complex with silky-smooth carbonation, this is a beer crying out to be sipped in a flute as a special pre-party apéritif. Just be sure to spend time savouring the beer’s aromas of hay, yogurt and ripe apples. No wonder those in the know call this a ‘celebration beer’.